Every time visitors came into the home of Janet Oxlade, they were never allowed to go past the living room. Whether people were there just for a visit or to purchase a puppy from Oxlade, who was a breeder, they were confined to the living room and never invited to see the rest of the home. The living room was kept in fantastic condition, but people started to wonder why Oxlade seemed so afraid to let anyone see the rest of her house. After a string of people called the RSPCA around Christmas to complain about Oxlade and the sick puppies she had sold them, the RSPCA’s Special Operations Unit and the local police finally had enough evidence to get a warrant and raid the property — and what they found when they were able to venture beyond the living room was absolutely shocking. 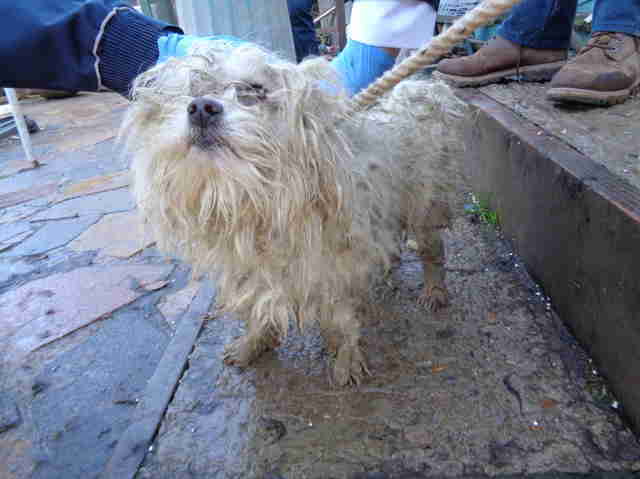 In total, there were 38 dogs and 18 cats living at the home, and all of them were being kept in horrific conditions. 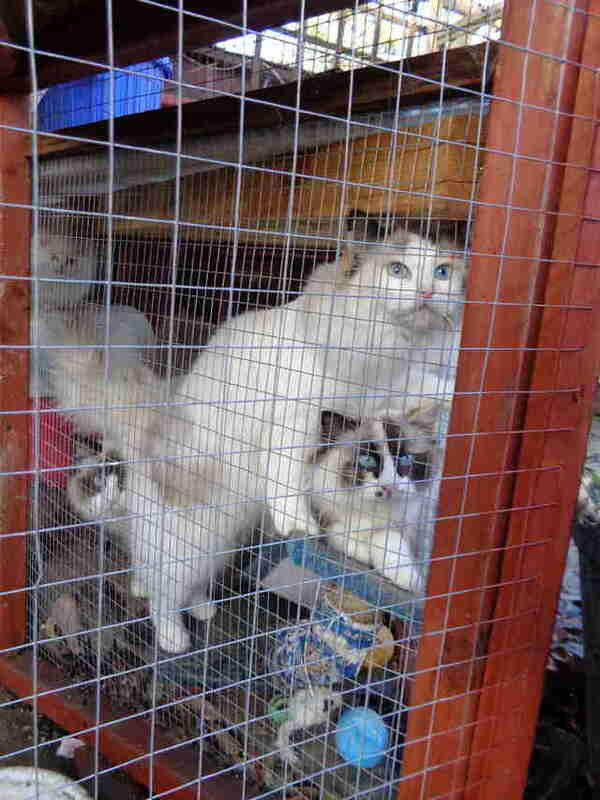 Cats were stuffed into rabbit cages, while dogs were kept in tiny pens and crates. 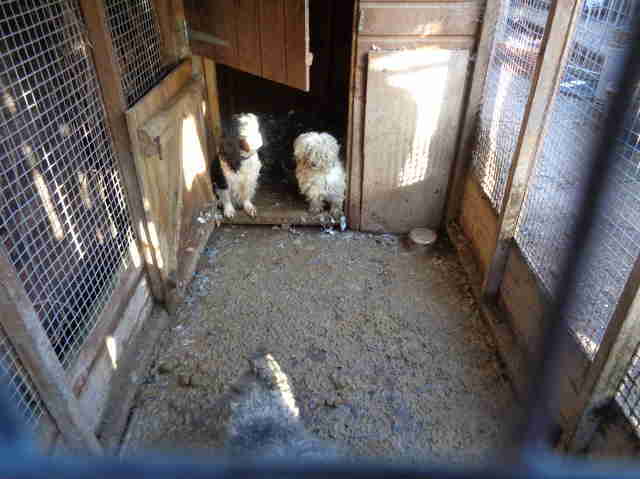 Every single animal in the home was filthy and suffering, and many had extensive medical issues on top of that. 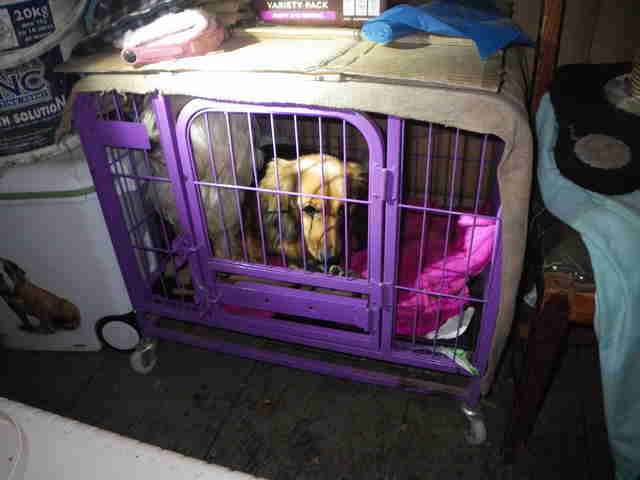 Rescuers were also able to see the living room where Oxlade would bring people to meet their prospective new pets. The room was absolutely spotless and painted a very different picture from what was going on in the rest of the house. All of the animals were immediately taken in by the RSPCA and given medical attention as quickly as possible. One dog had such badly deformed legs that he could barely walk, while others suffered from eye infections, matted coats, severe dental disease and clogged ears. Luckily, all of the animals were treated and given plenty of love and care, and have now either been rehomed or are currently available for adoption. Oxlade pleaded guilty to her crimes, and was recently sentenced to 20 weeks in prison and must pay a hefty fine. She is also banned from having animals for the rest of her life. 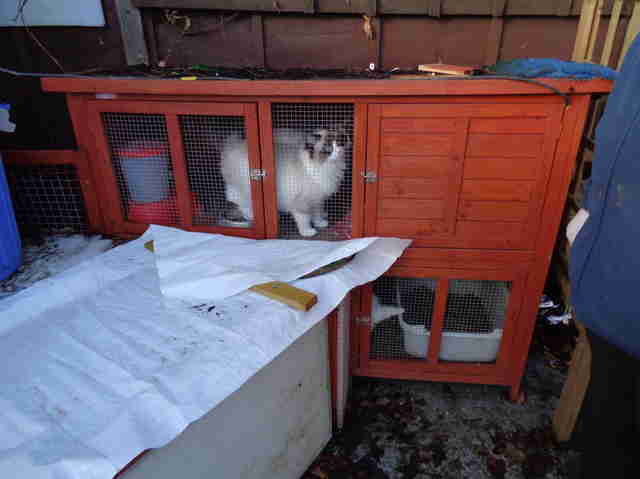 The conditions beyond the living room of the home were some of the worst rescuers had ever seen, but luckily, all of the animals are safe now, and will get to live the rest of their lives in loving forever homes.